Can I make them healthy? Combine the dough ingredients in a food processor and process until a smooth ball of dough forms, about 30 seconds. Flatten the ball of dough into a ½” thick disk and wrap in plastic wrap. 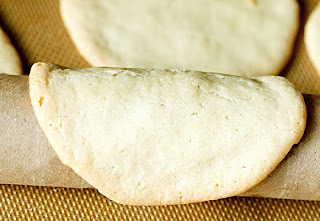 Roll the dough out between two sheets of parchment paper, keeping it to a ¼” thickness. Press the dough into 2 1/2 inch circles. Bake for 11 minutes or until golden brown. Using the inside of a paper towel roll (the cardboard) immediately drape the cookie over the circular form and let it cool for a few minutes. 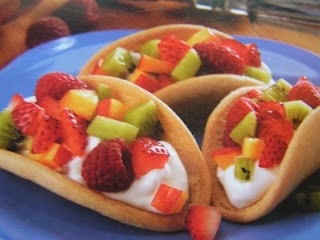 Add a layer of Greek yogurt onto each shell then top it off with raspberries, strawberries, and kiwis (or any fruit of your choice).